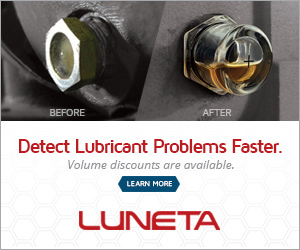 I am doing some benchmarking to find out what lube oil other people are using in their EXTRA LARGE diesel Engines. Our plant has 4 very large diesel engines on standby for emergency power backup. These 12 cylinder Worthington Engines are rated at 5410 Brake Horsepower at 514 RPM. They generate 3500KW. We are currently using Mobilgard 450 NC (which is a Marine engine oil) and Mobil has quit making this line of oil back in January. We have enough oil to last us a while but I do need to pick out a new product. Is anybody using the Mobil replacement oil, Mobilgard 410NC? In our case we have 3 MAN 48/60 Diesel engines running on HFO and we are using Total Aurelia 4040. We went from 450 NC to 410 NC. You mention in your post that, in your, 12 cylinder, 514 rpm, 3.5 MW diesel engines, used as stand-by, have been using a product Mobilgard 450 NC, which is not available any longer. •	Mobilgard™ 450 NC is a non-zinc and non-chlorine lubricant produced with high-quality basestocks and selected additives. •	These combine to provide the oil with low consumption characteristics, high-temperature oxidation resistance and thermal stability. •	Its high alkalinity provides excellent corrosion protection when using fuels containing up to 1.5 per cent sulphur even in the presence of steel, copper, silver and bronze. •	Further, it is an SAE 40 grade with a 13.0 to 13.5 TBN. Another factor to be taken into account is that, over the last decade the fuel composition has changed dramatically, to meet new environmental norms. As far commercial fuels are concerned, Euro IV and Euro V regimes are in vogue, wherein the sulphur content has reduced, to below 10 ppm. Unfortunately, this stripping of Sulphur from fuels has its own ramifications (http://www.slideshare.net/hussam57/implications-of-ulsd-or-low-sulphur-regime). Thus, it is probable, that you may also need to dose fuel with lubricity additives. Prior to which you may ascertain the lubricity of the fuel from your supplier or have it tested by ( a reputed Lab like, Herguth) for ASTM D 6079 vide High Frequency Reciprocating Rig (HFRR). The recommended value for the scar, must be below 500 mm. Thereafter, you also need to have the fuel tested by ASTM 6079/HFRR with the fuel lubricity additive, at the desired dosage. Compare the two values and ensure the lubricity additive treated fuel, falls in the sub 450 mm scar range, for minimal wear of fuel pumps, injectors etc.. While you have not mentioned the category of fuel, would like to take a cue from the recommended product in use ( 1.5% = 1500 ppm indicated). It has been observed that when we use high TBN oils with low sulphur fuels, there are complications. •	In the marine industry interchange of fuels, from high to low sulphur fuels, results in pronounced piston crown deposits. This is manifest, when using the same ( high) TBN oils. You may consider using a lower TBN oil, if you are now, using LSD/ULSD or similar. •	From the mechanical point of view, the LSD and ULSD generally have lower viscosities, than the residual fuels, therefore modification desirable, in fuel pumps. •	EPA clearance now demand mitigation of Green House Gases (GHG), hence suitable modifications may have to be carried out, in consultations with the OEM to meet, lower emission norms and practice. In conclusion, your decision to find alternative should encompass some of the above factors.